Postwire is the name of the tool -- and also the name we give to the page-place-canvas-microsite-portal (oh, so many names have been suggested!). You share information and ideas with one or more people on a "Postwire". 2. The first thing you'll want to do is post some content. You can enter a Web Link; Upload videos, photos or documents; or re-post content From Postwires you can access. 3. Click Web Link to enter a URL. Enter your website homepage to get a feel for how Postwire works. After entering your web link, click Add. 4. Postwire will analyze the web page to get the title and thumbnail image(s) to represent it. 5. Upon completion of the analyzing phase (usually takes no more than a few seconds), the content is presented for editing before saving. Cycle through thumbnail choices by clicking the left and right arrows. If you are not happy with the images you see, click Can't find a good image? and upload any image file (.jpg or .png format) you want to use for the thumbnail instead. You can also edit the title. When finished, click Done Editing. 6. Congratulations! You just posted your first content to the Postwire. While posting content is very intuitive, you can read more about how to post different types of content here. When you are done, it's time to Share the Postwire. Click the orange Share button on the Postwire. 7. The easiest way to share is to have Postwire send an invitation email. In the share dialog, click into the Send Email: textbox. 8. To test, enter the email address for one of your colleagues (or your personal email address); edit the subject, message and signature; then click Send Email. 9. Congratulations! 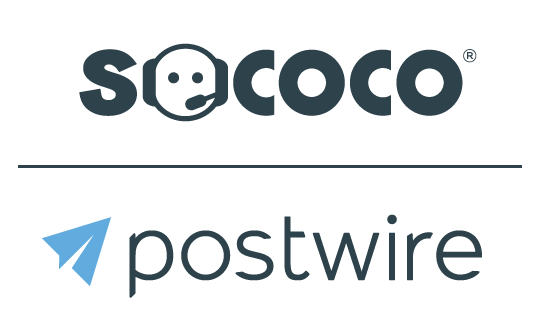 You just created and shared your first Postwire. Now, as you probably saw, there are a bunch of features we didn't cover. Check out the rest of the Help Topics to learn more.